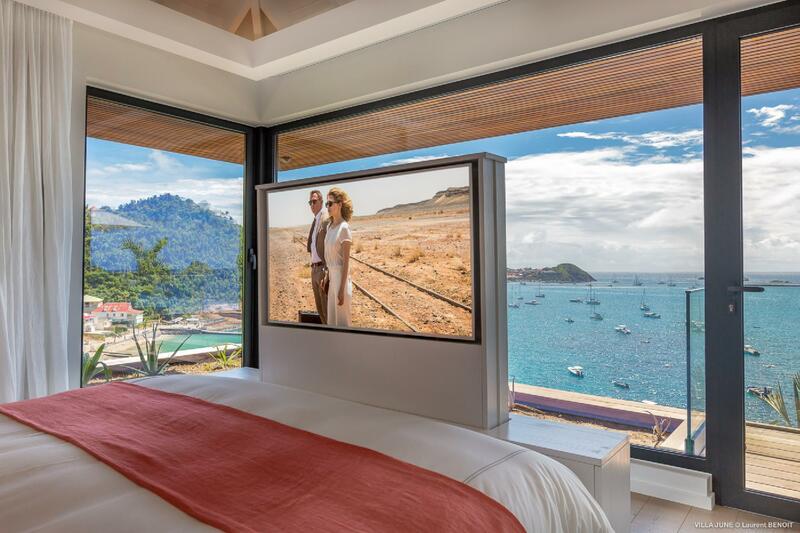 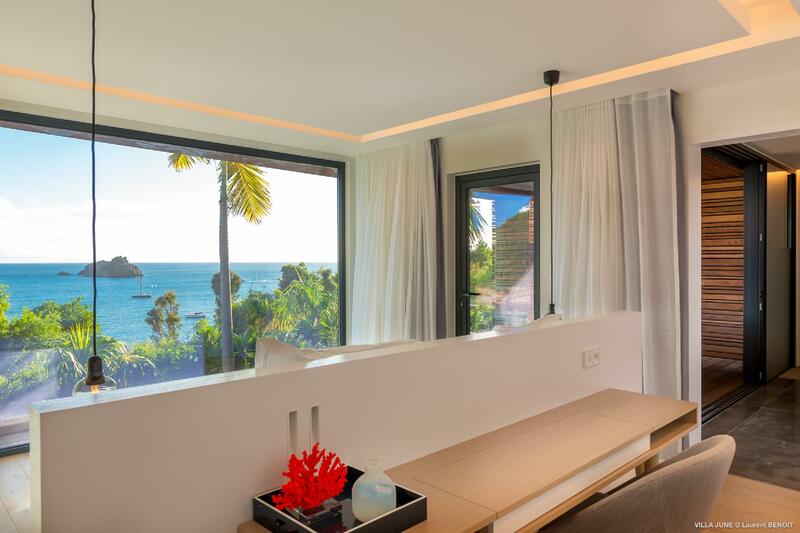 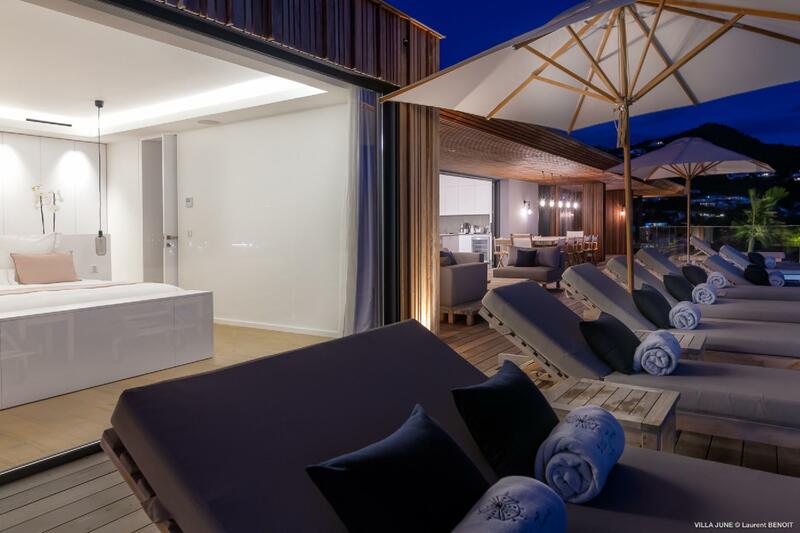 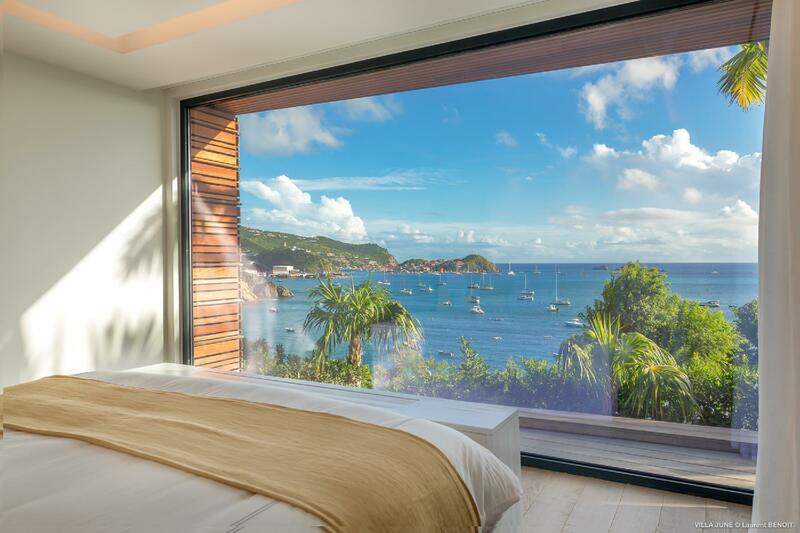 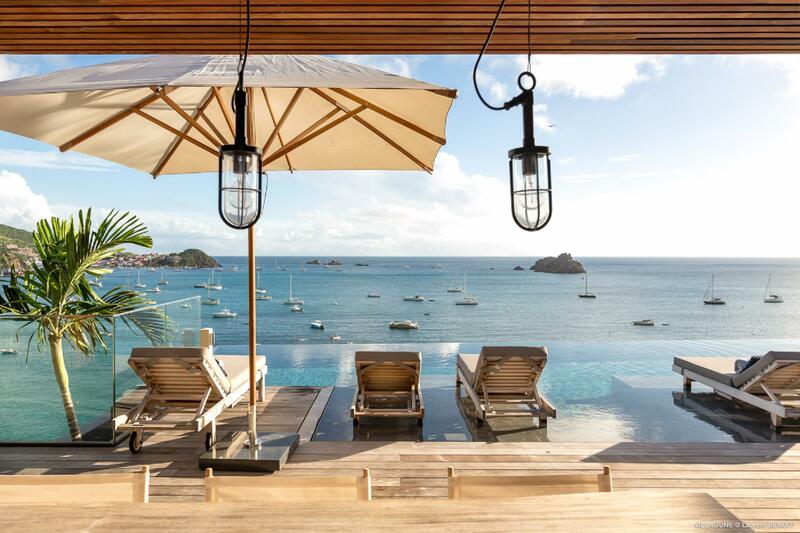 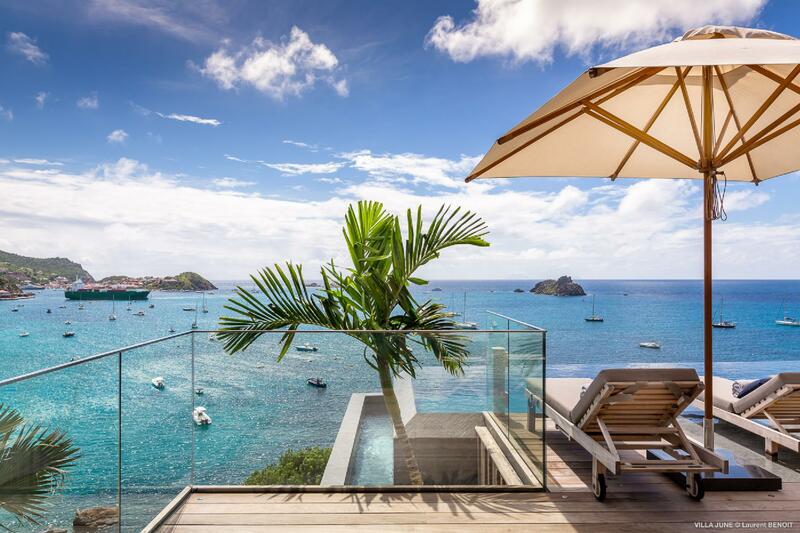 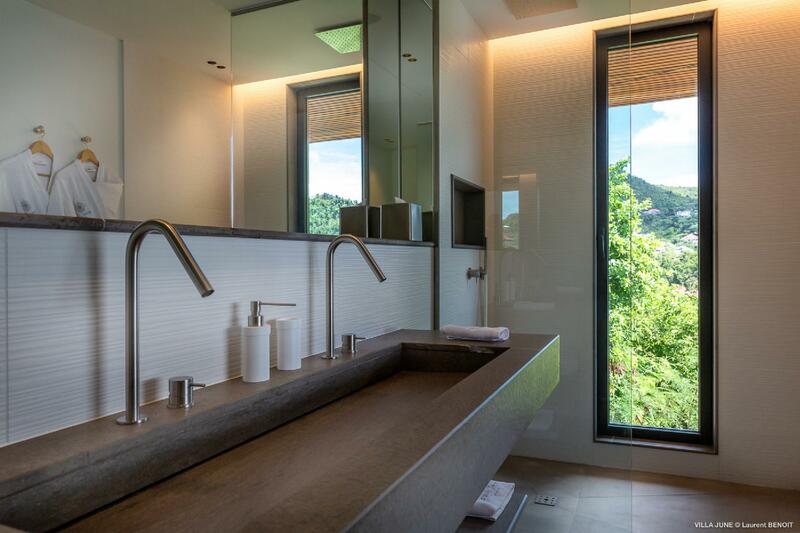 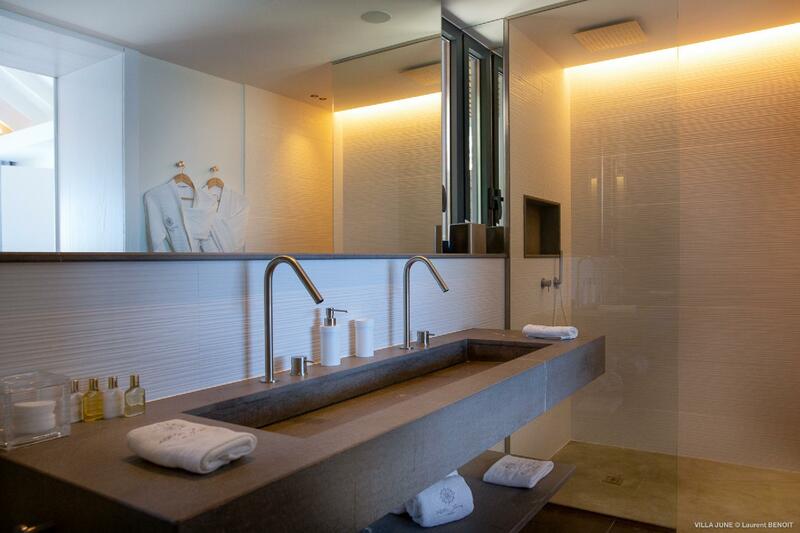 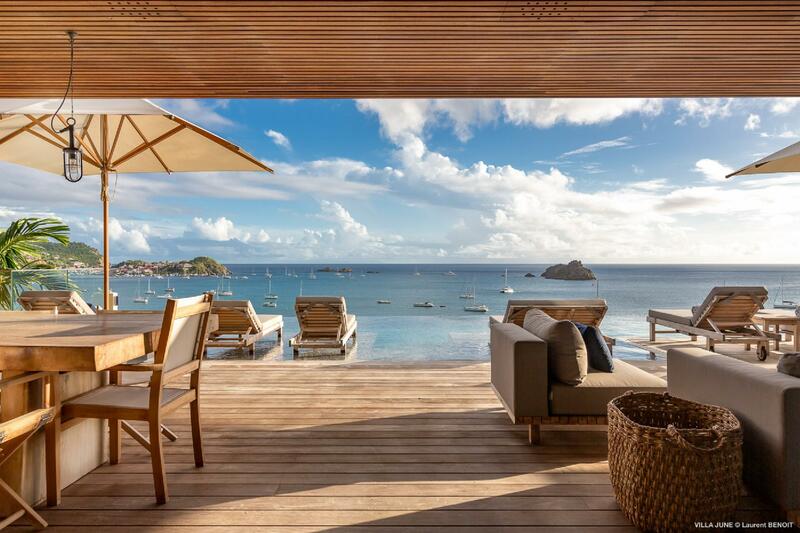 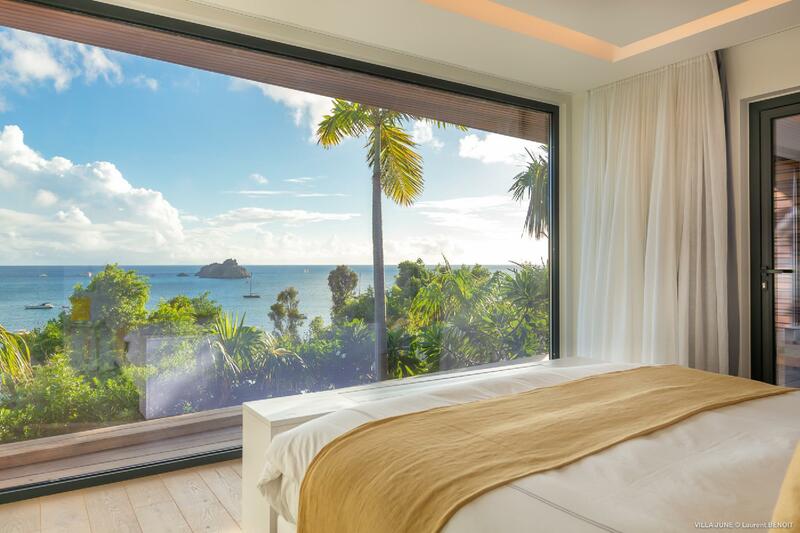 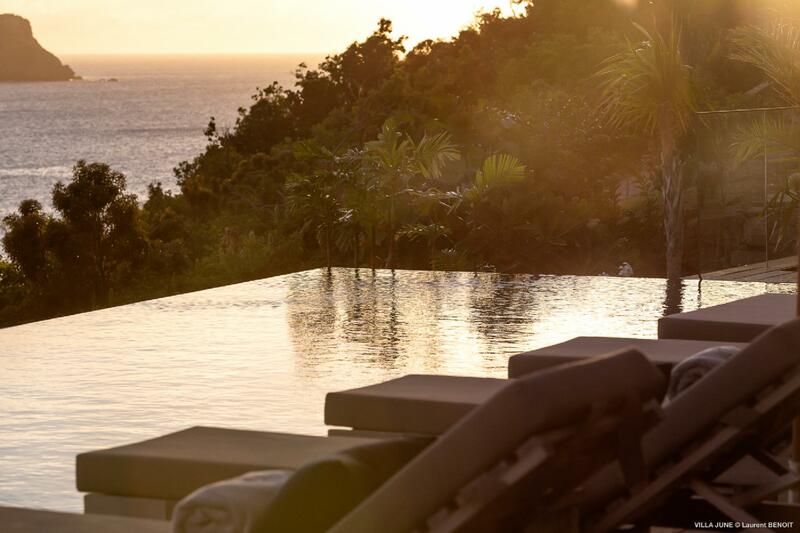 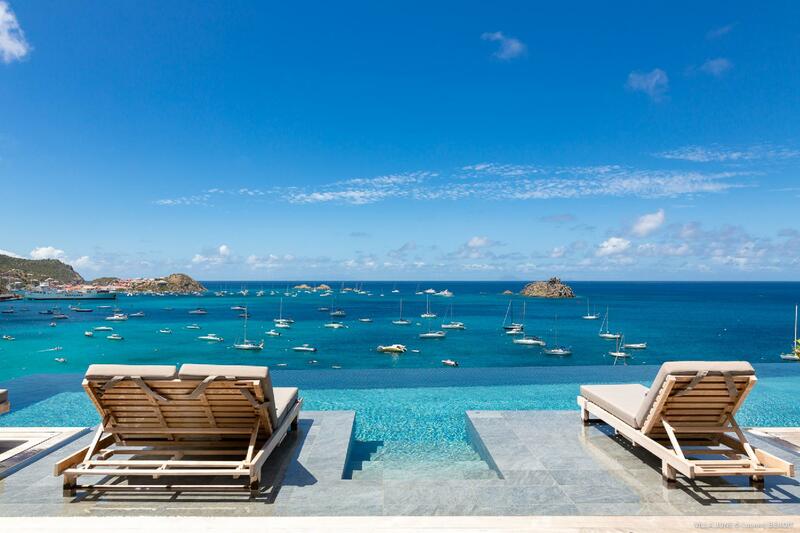 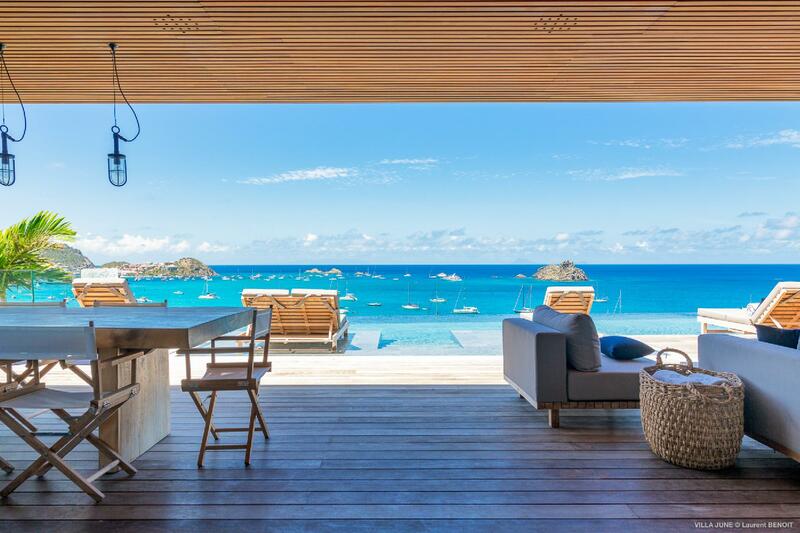 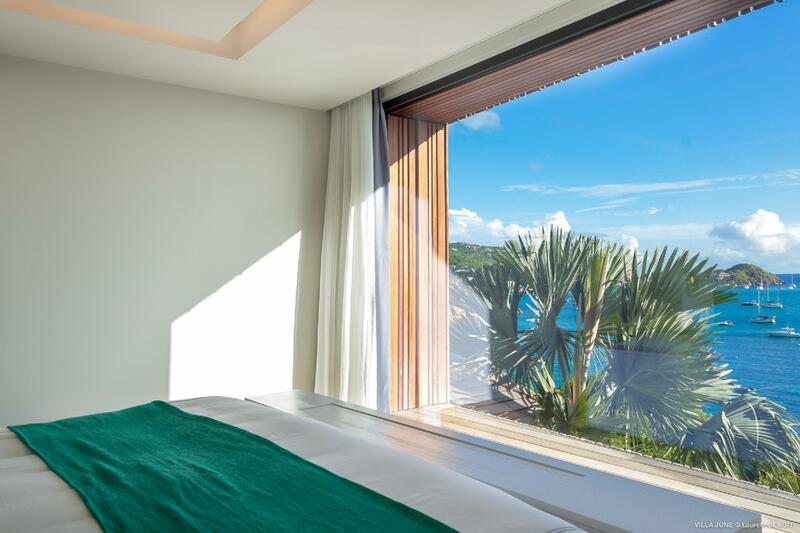 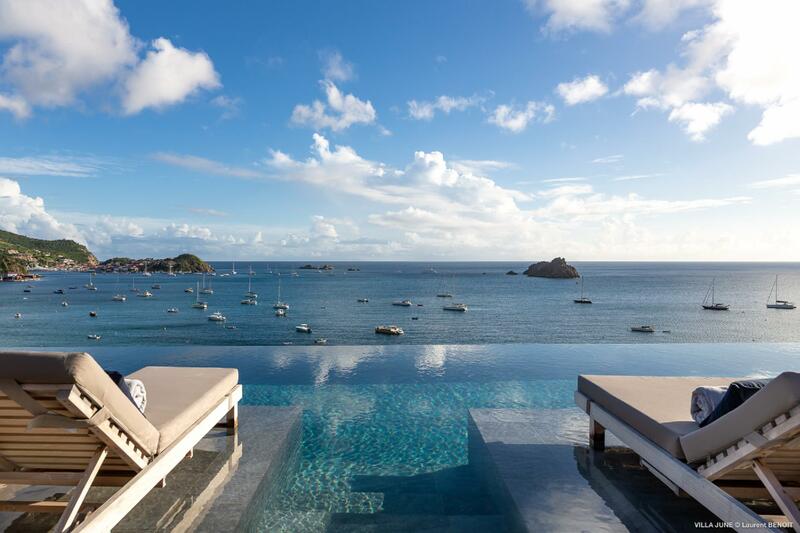 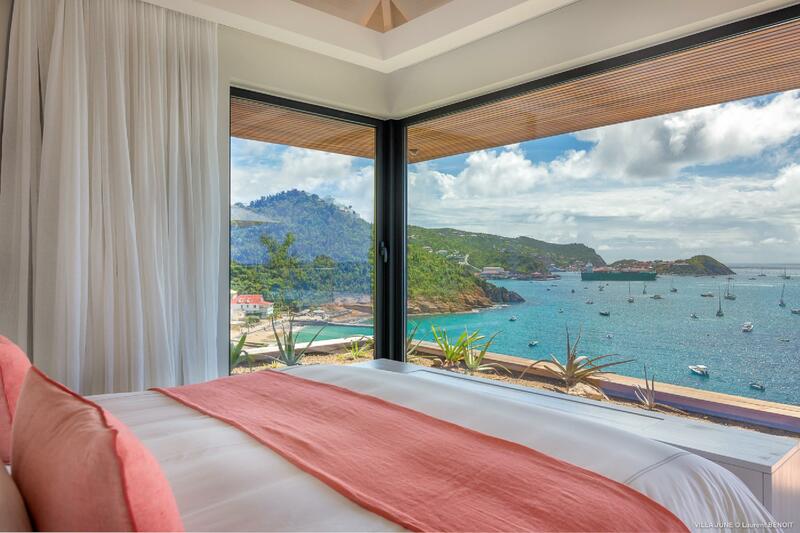 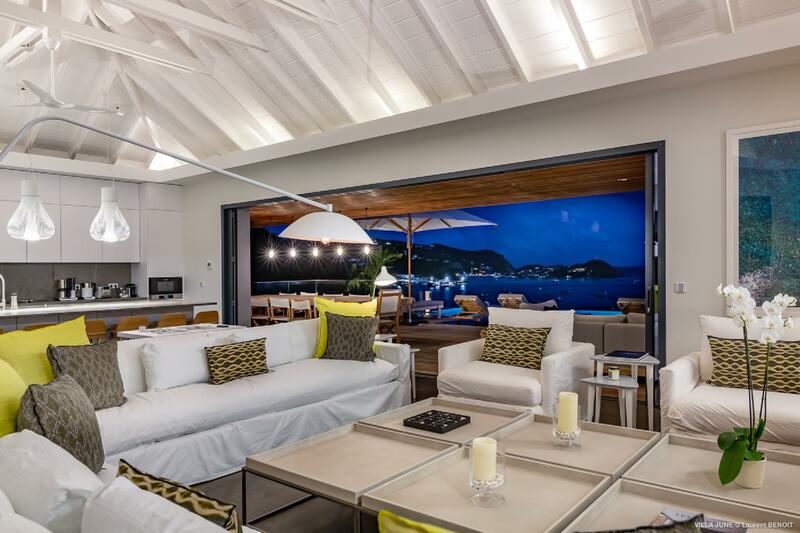 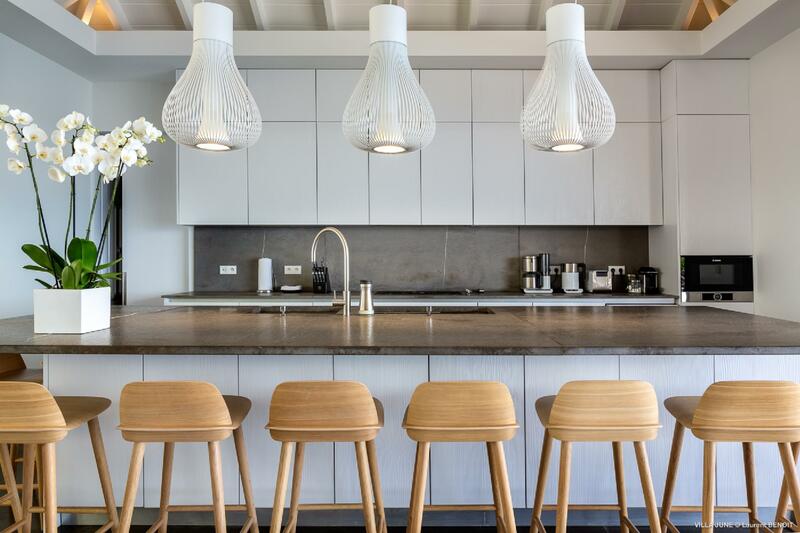 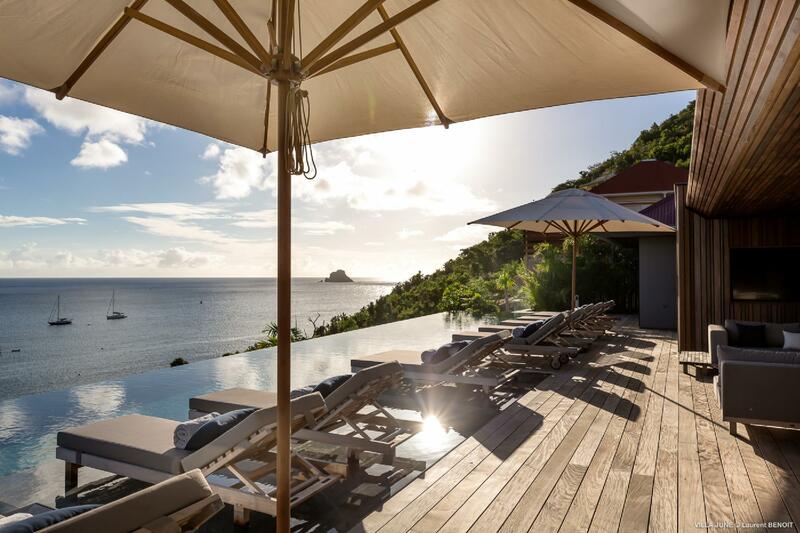 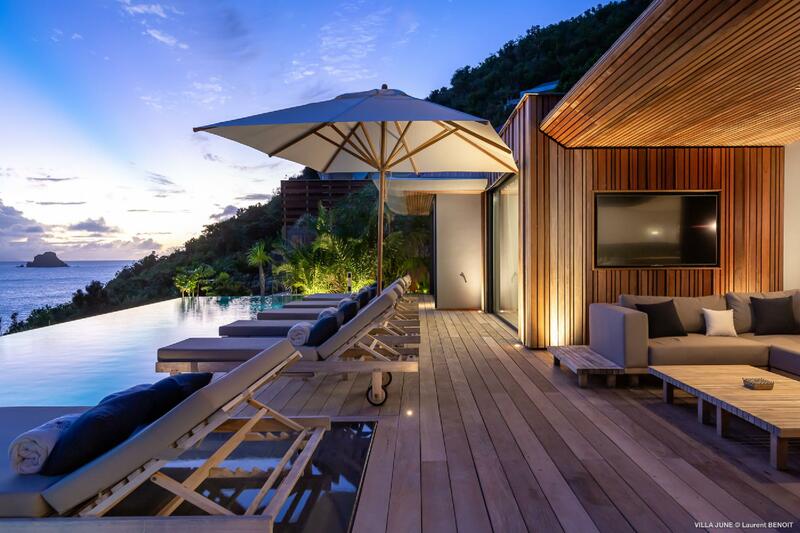 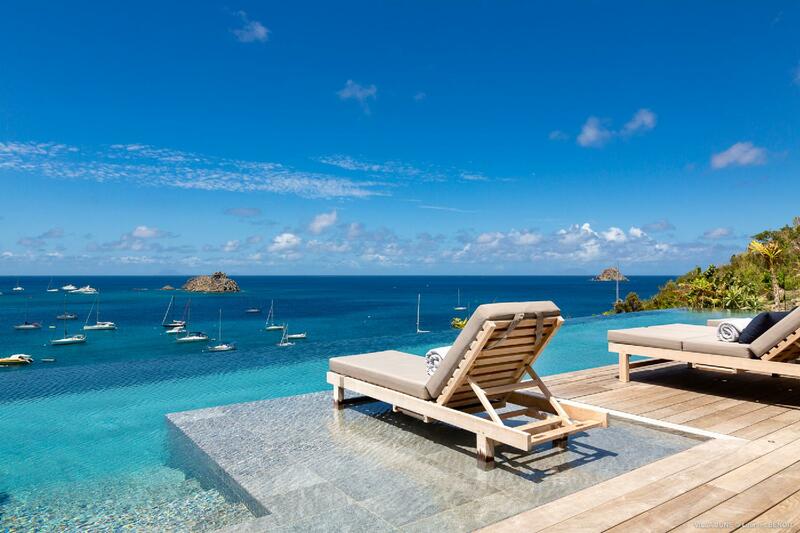 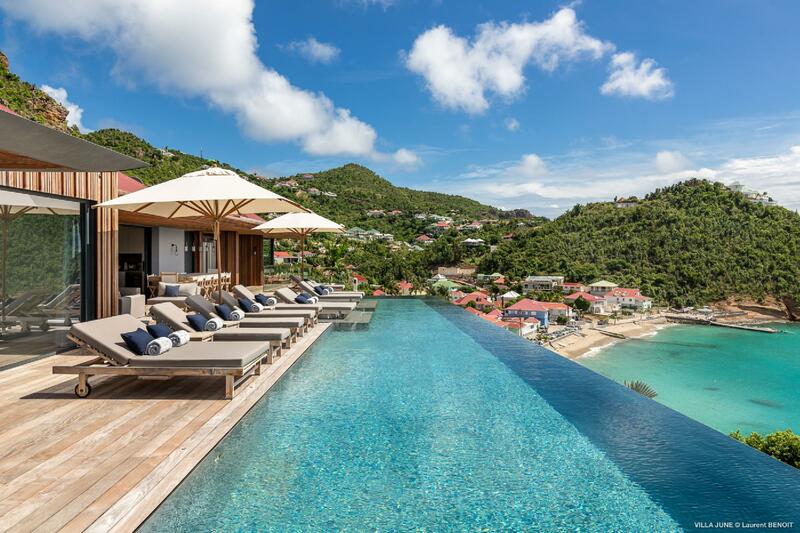 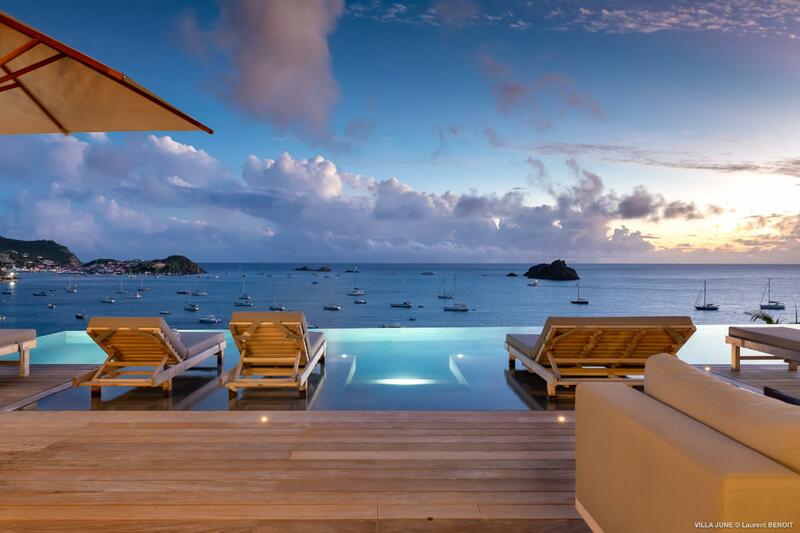 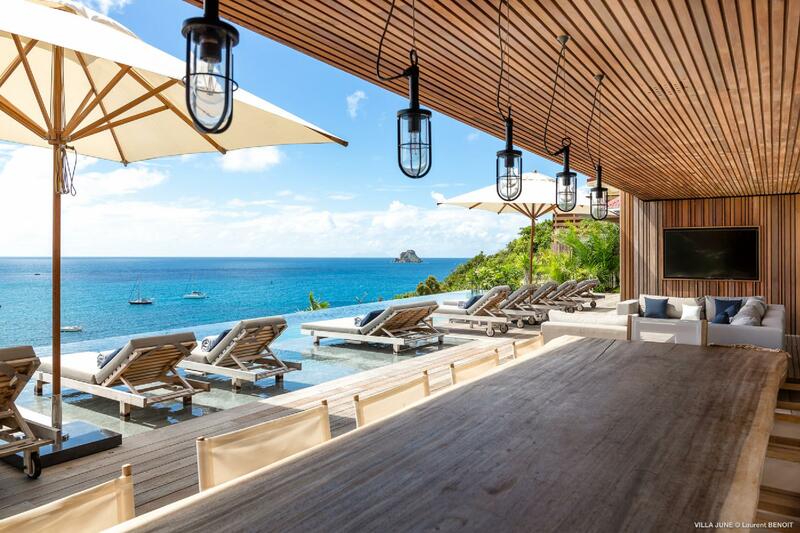 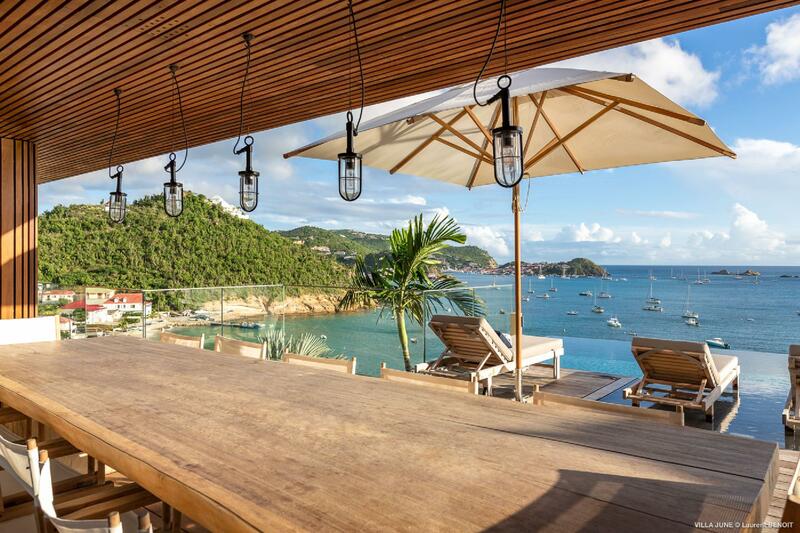 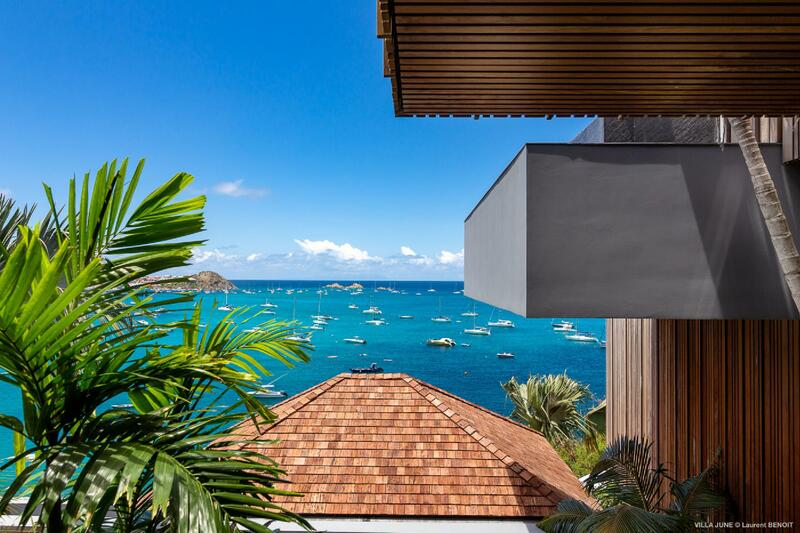 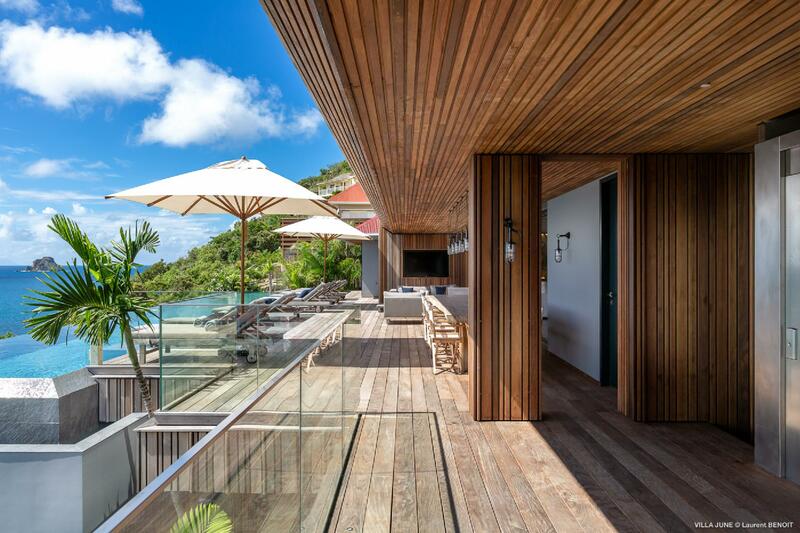 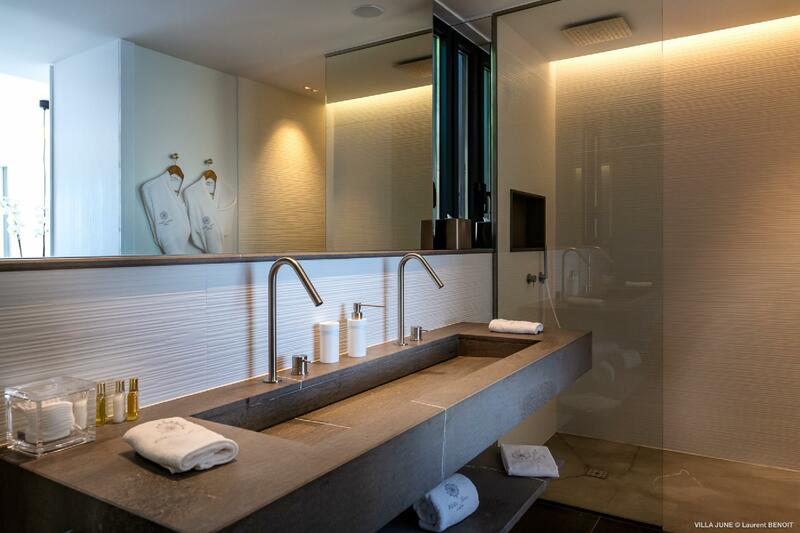 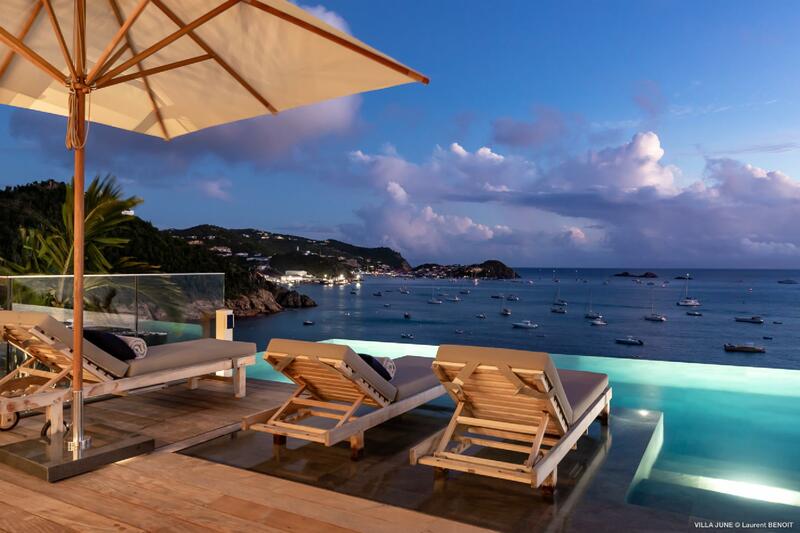 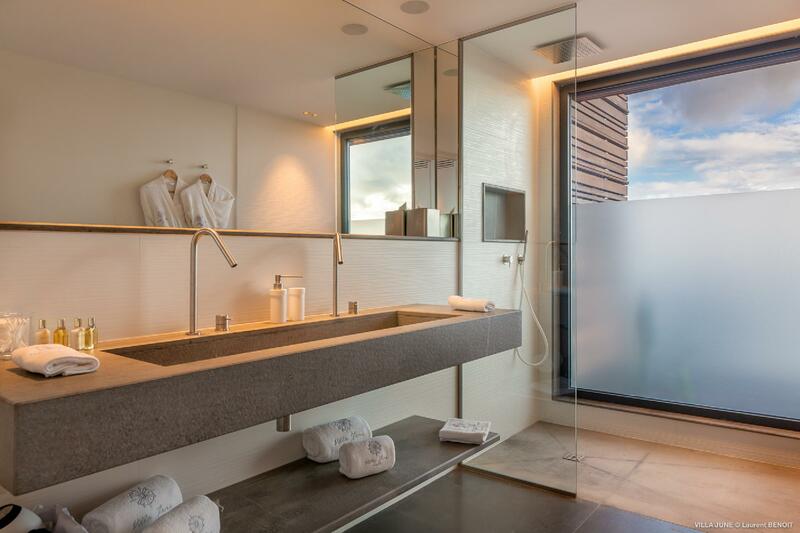 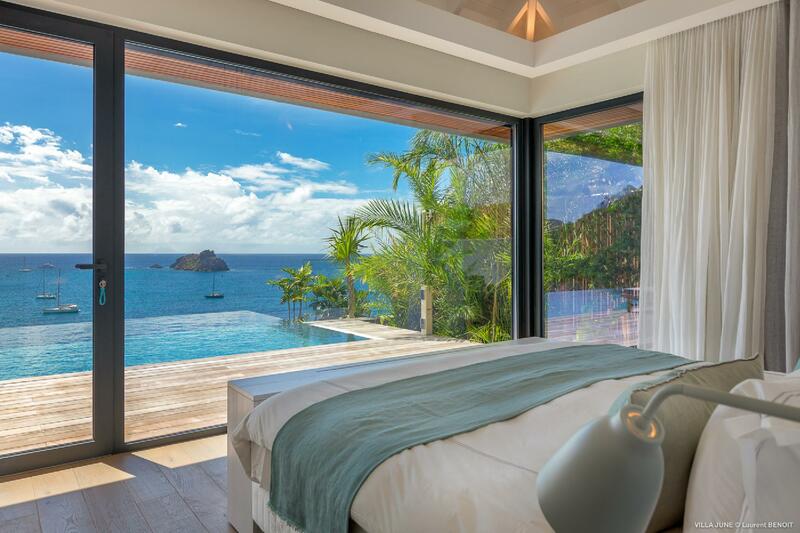 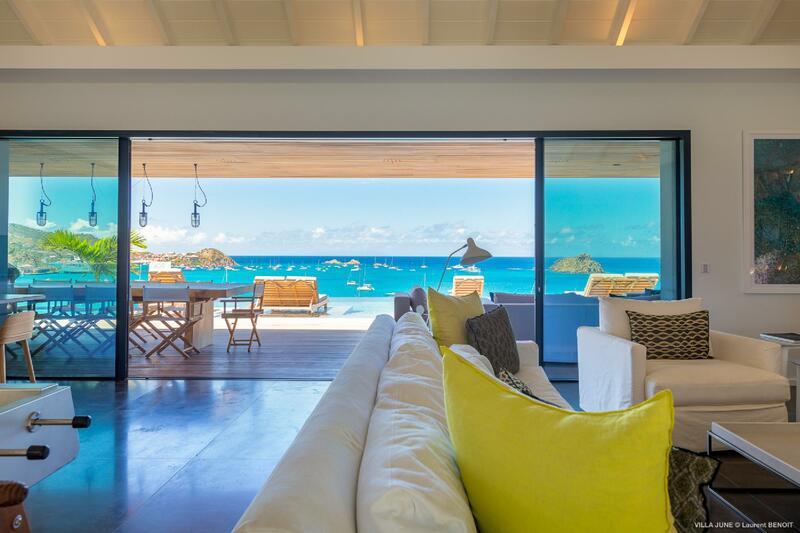 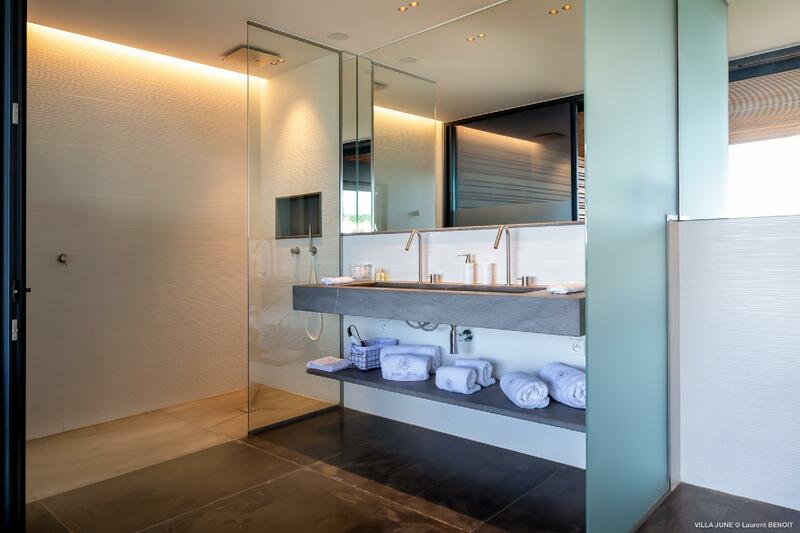 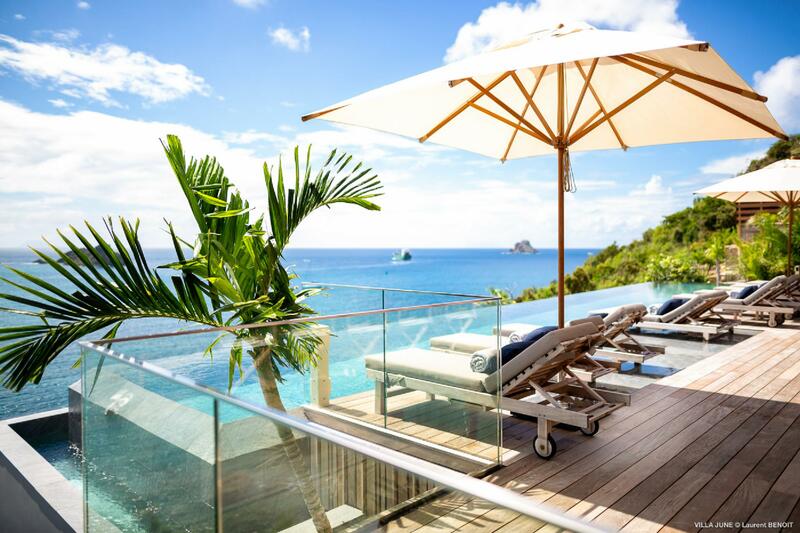 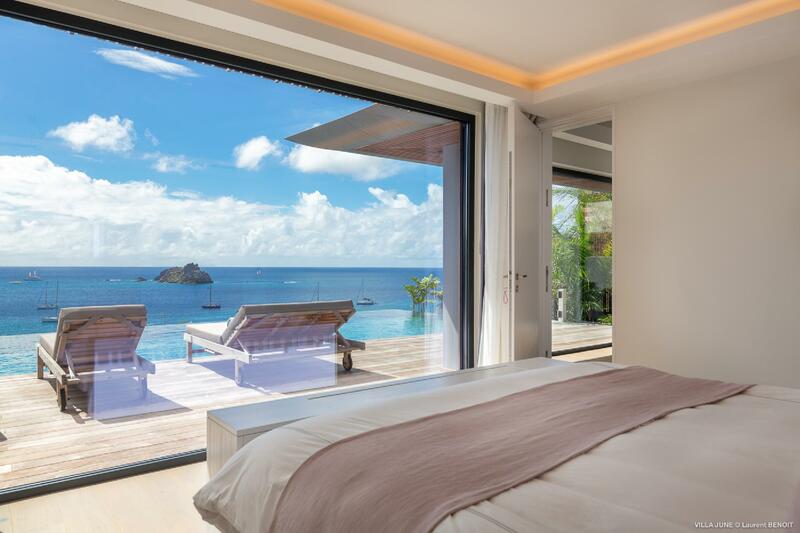 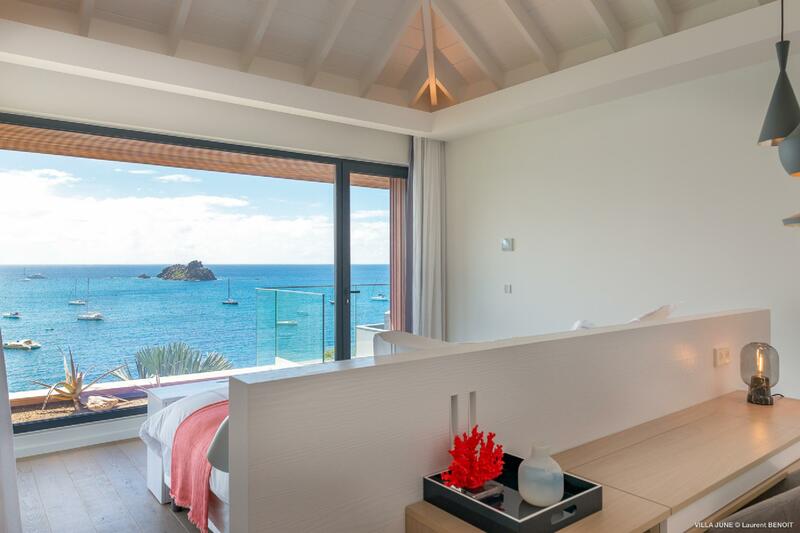 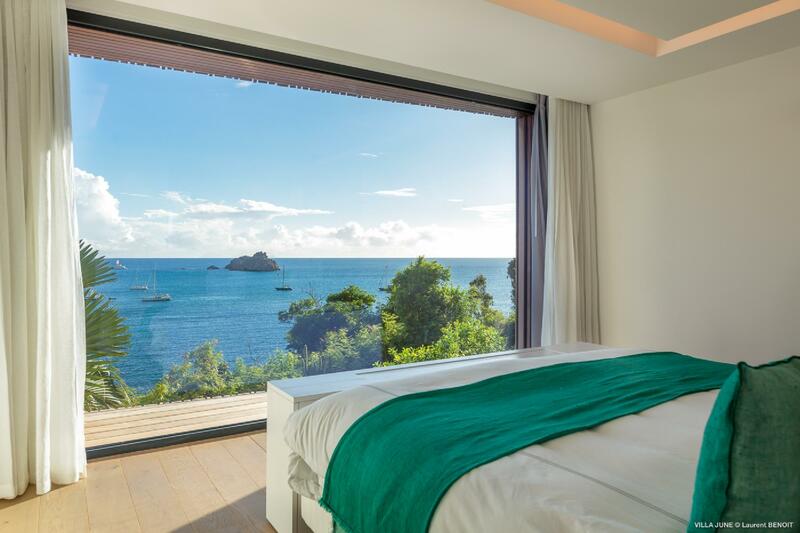 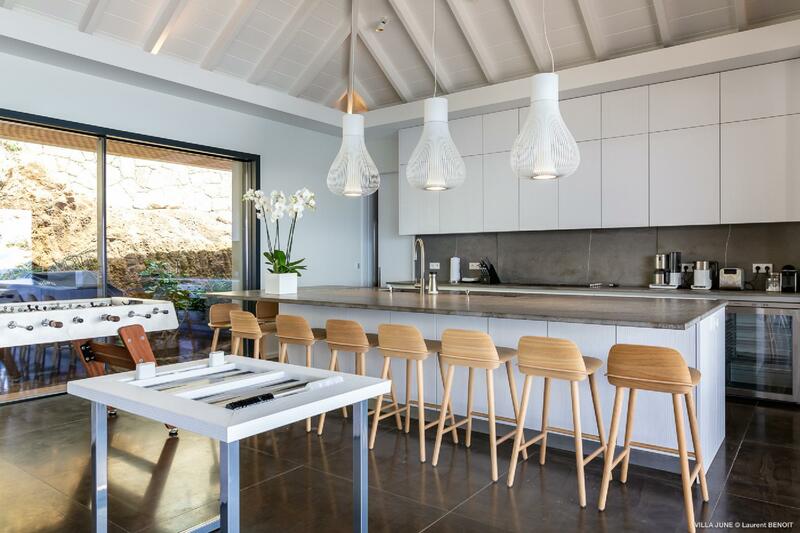 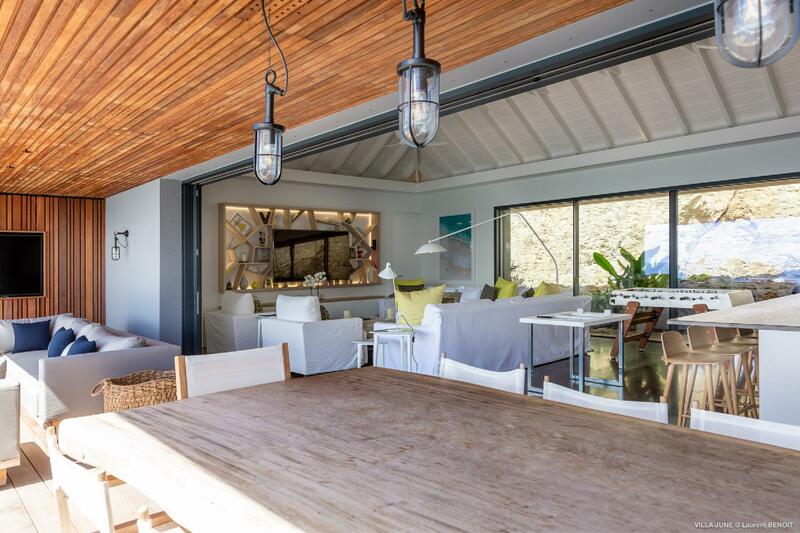 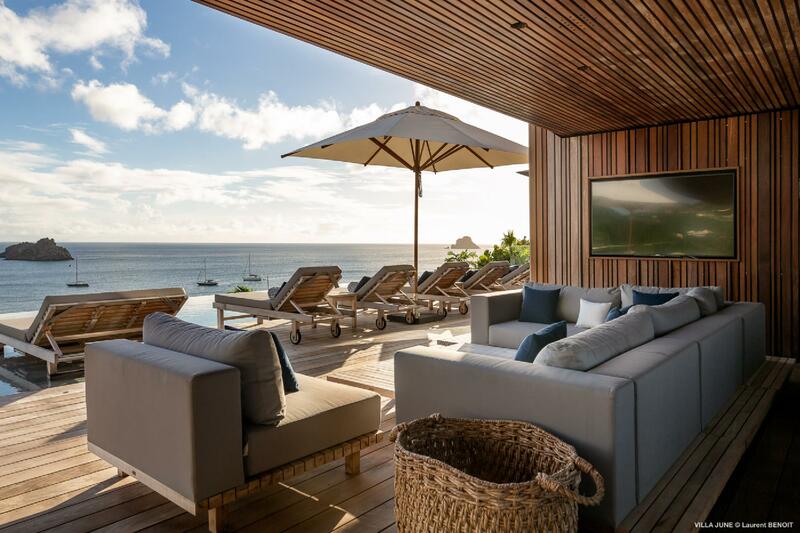 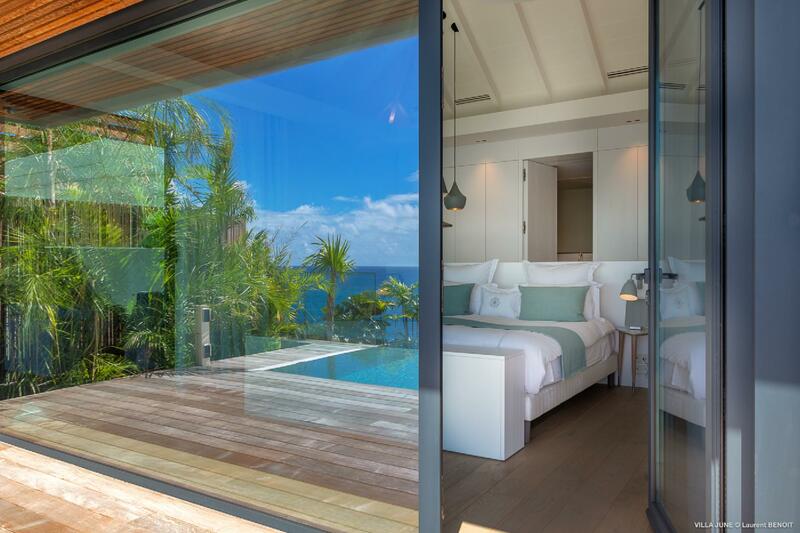 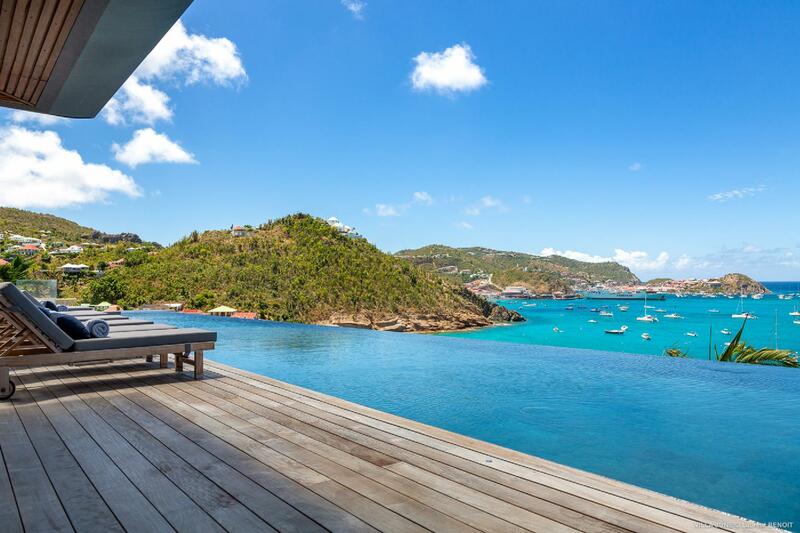 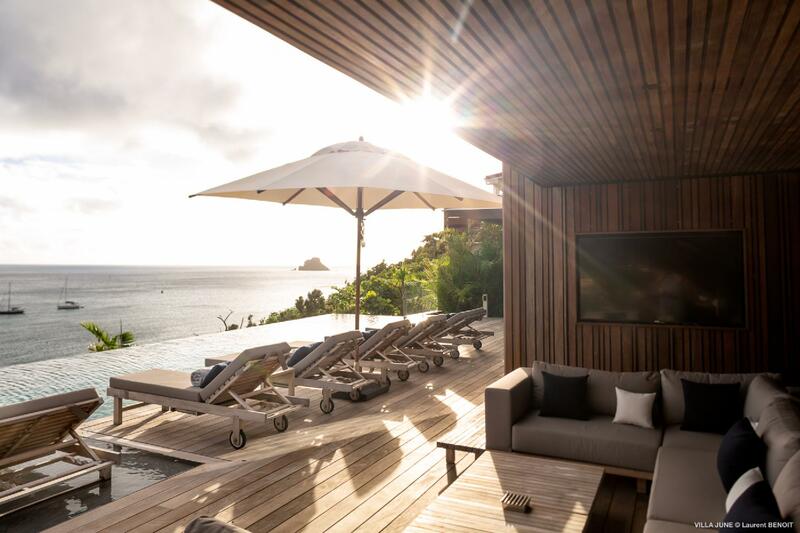 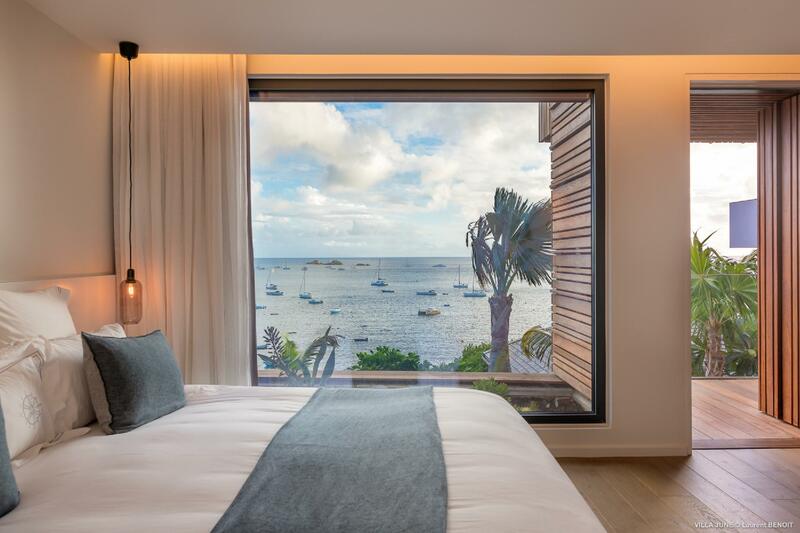 The newly built Villa June (JUN) is a wonderful addition to St. Barth&#146;s rental property landscape. 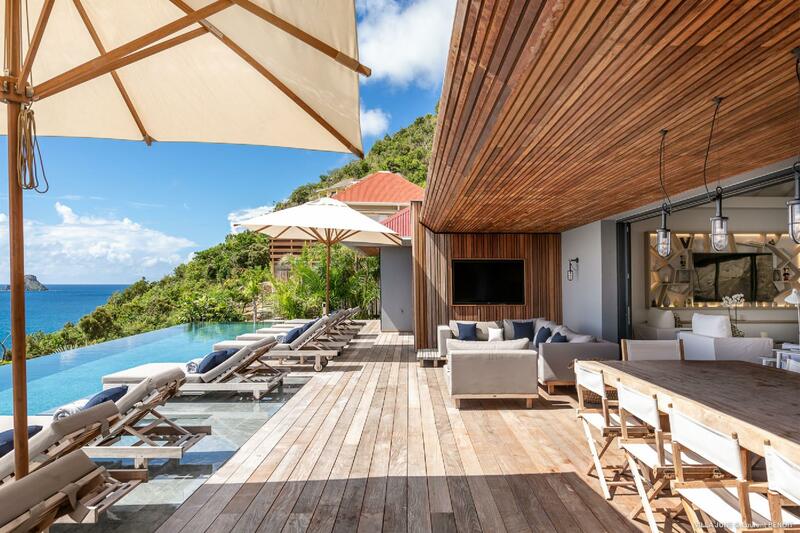 The luxury vacation home has an excellent location in Corossol, just a few steps up the hill from one end of the beach itself. 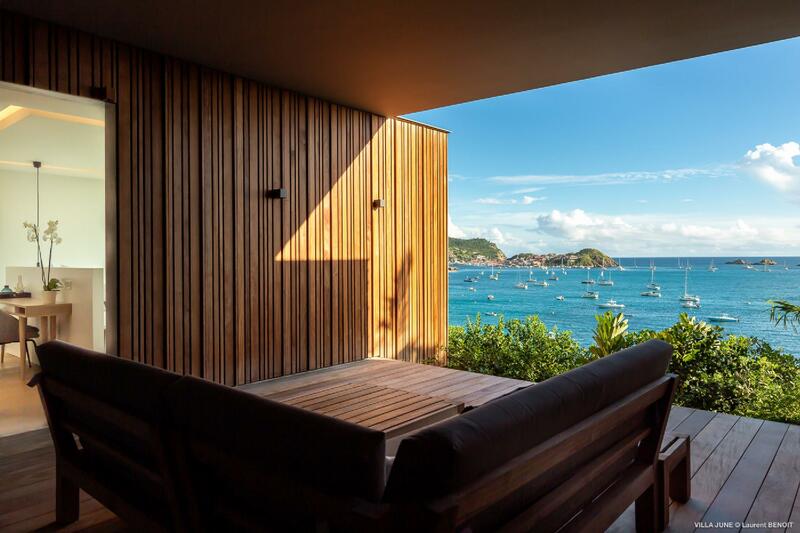 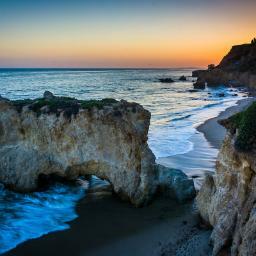 The stunning sea views are close-ups. 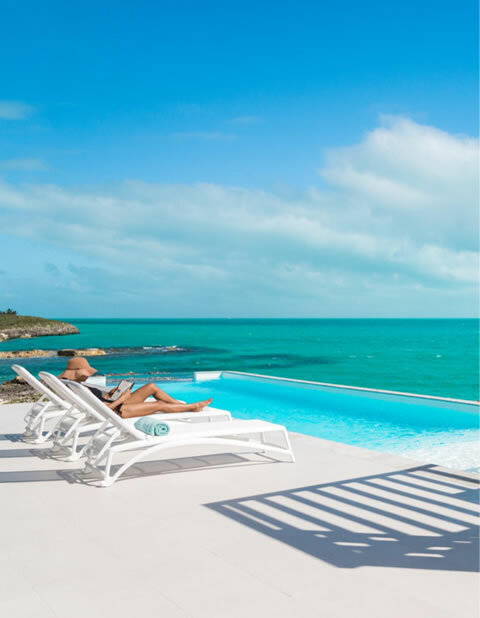 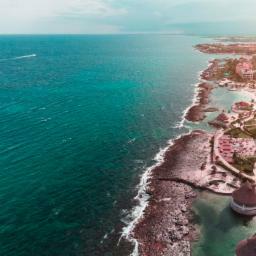 They are seen in wide angle from many of the rooms in the villa, and the infinity pool blends right in with the water of the Caribbean Sea. 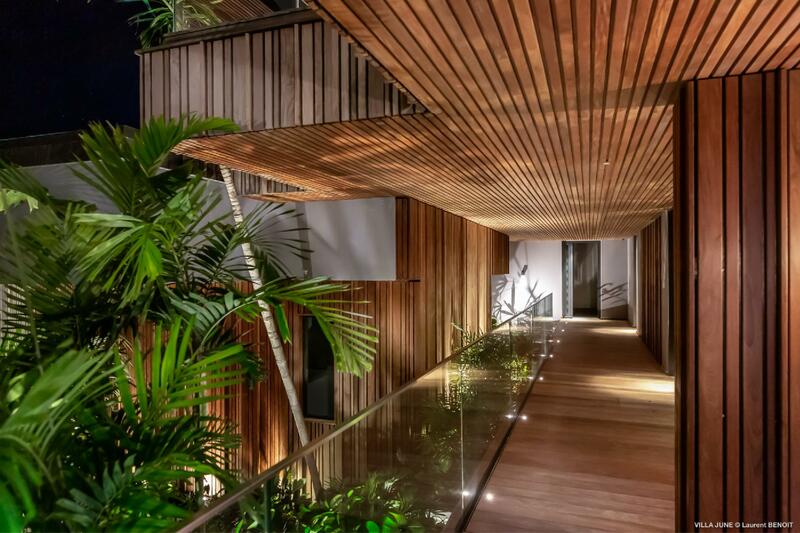 The exterior of Villa June is clad in wood, which makes it well integrated into the environment. 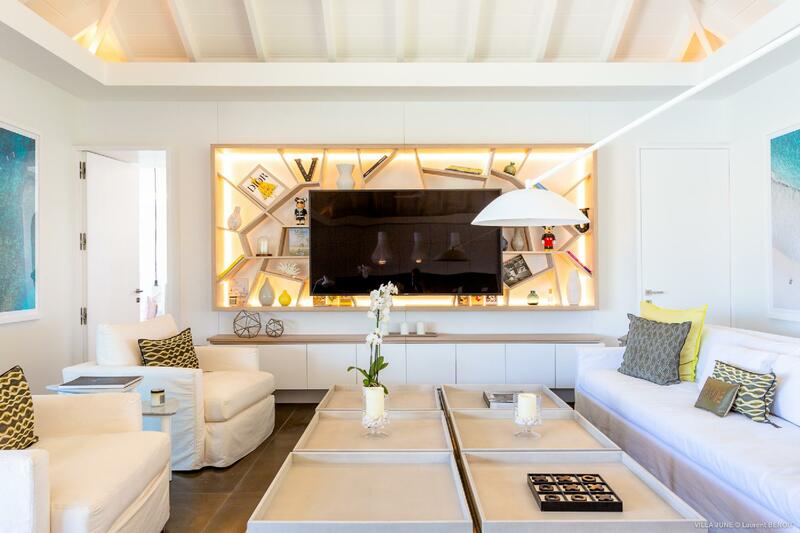 Inside, the eclectic decoration creates a cozy, homey feeling even though the rooms are quite large. 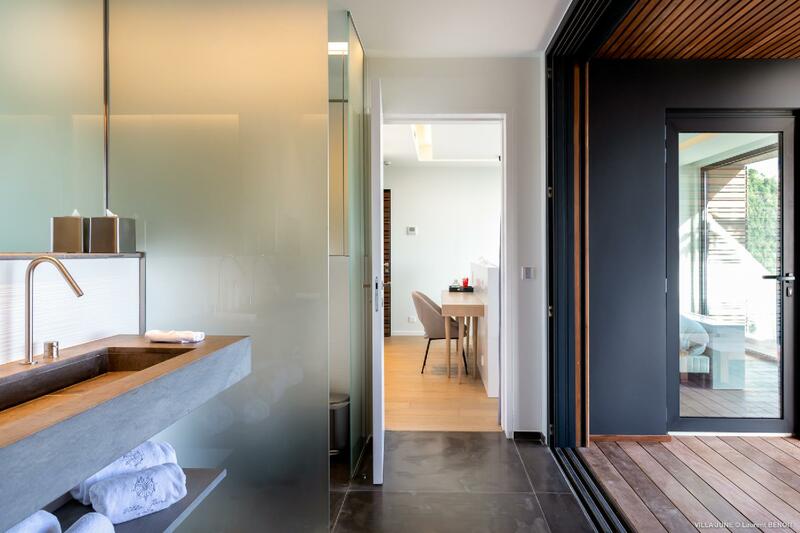 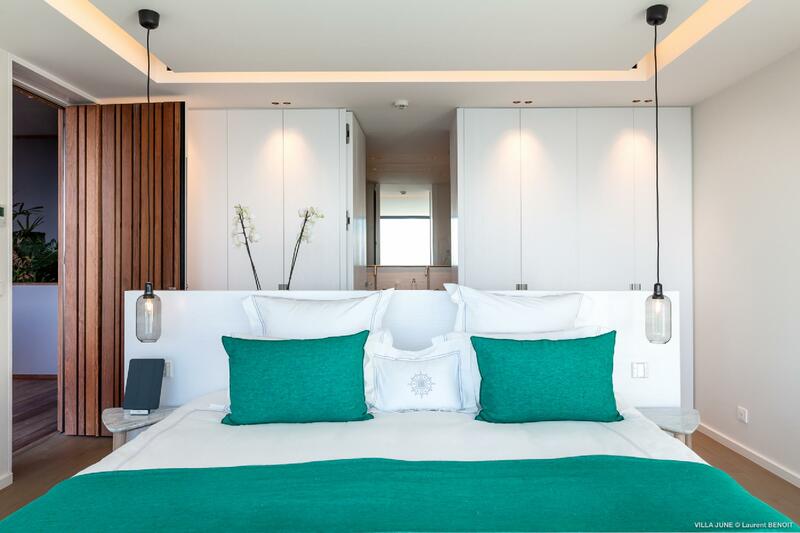 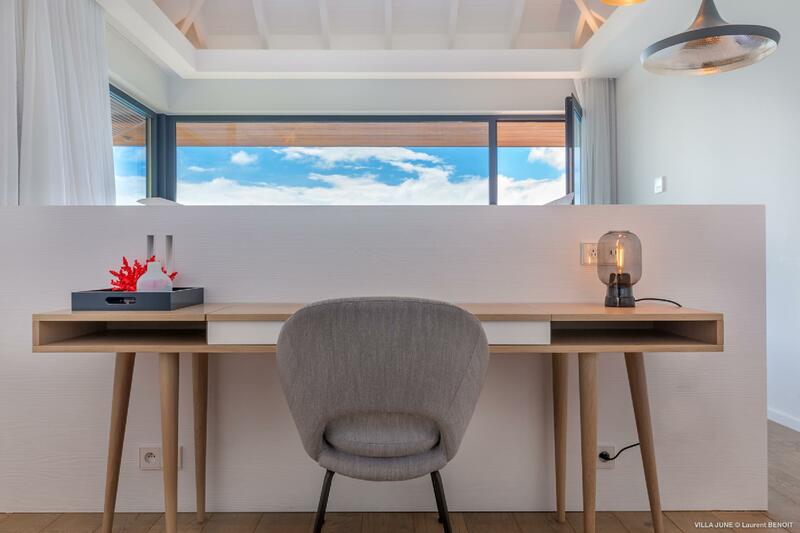 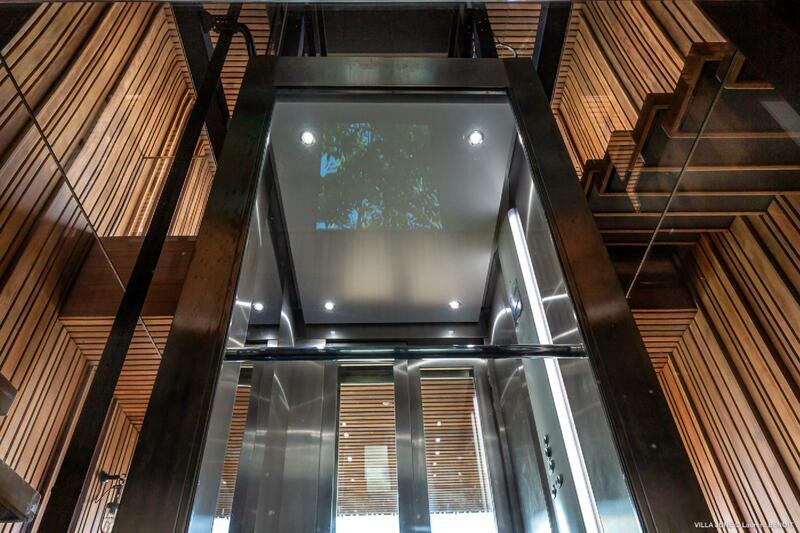 It is also tricked out with modern luxuries, like hidden TVs at the foot of each bed&#151;and even on the terrace&#151;and a central elevator to connect the three floors. 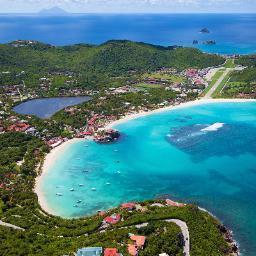 On the ground level, of course, is an ample parking area. 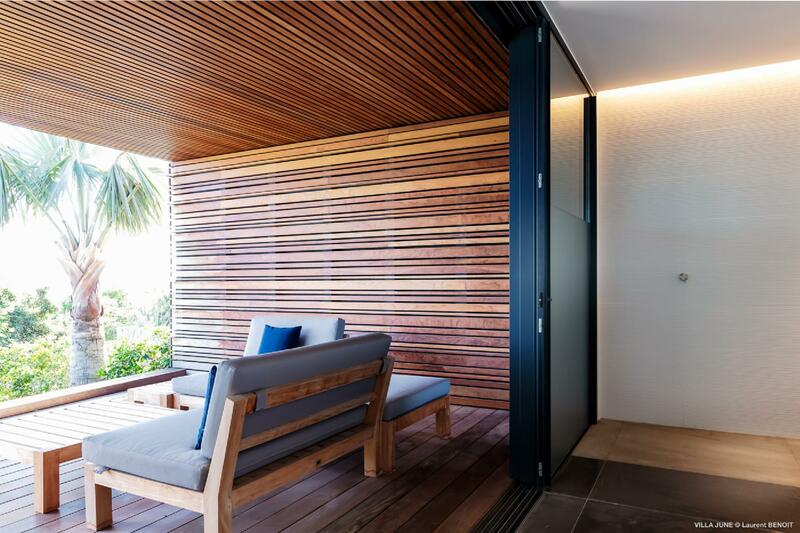 There is one bedroom on the second level of the main house and a covered corridor that leads to two additional bedrooms. 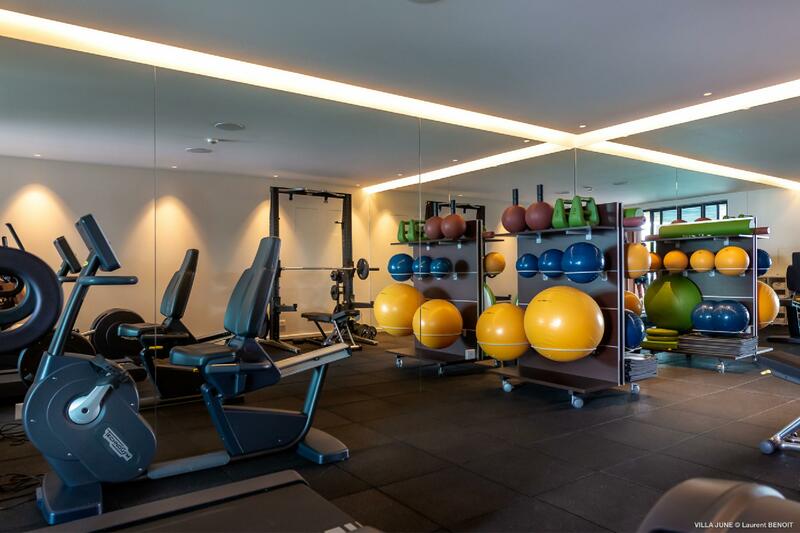 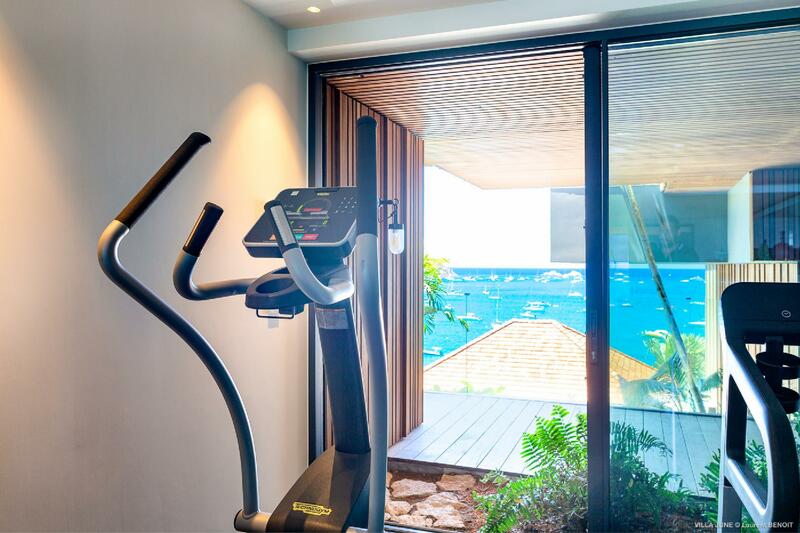 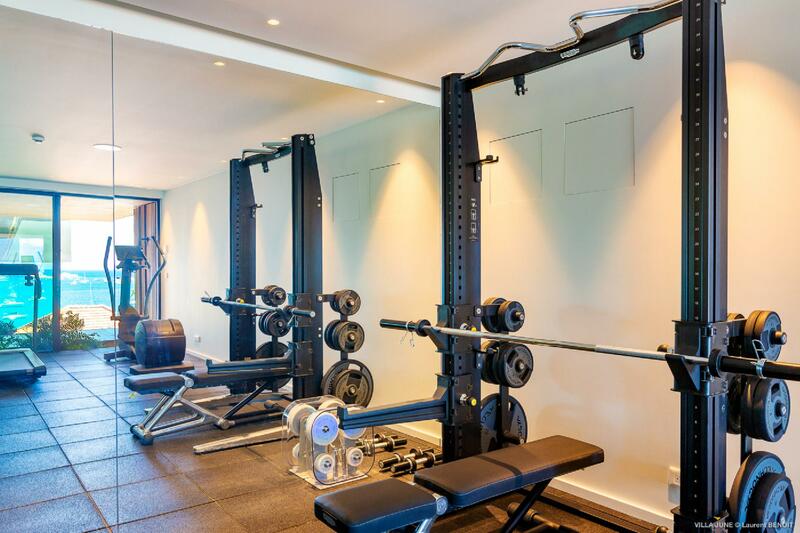 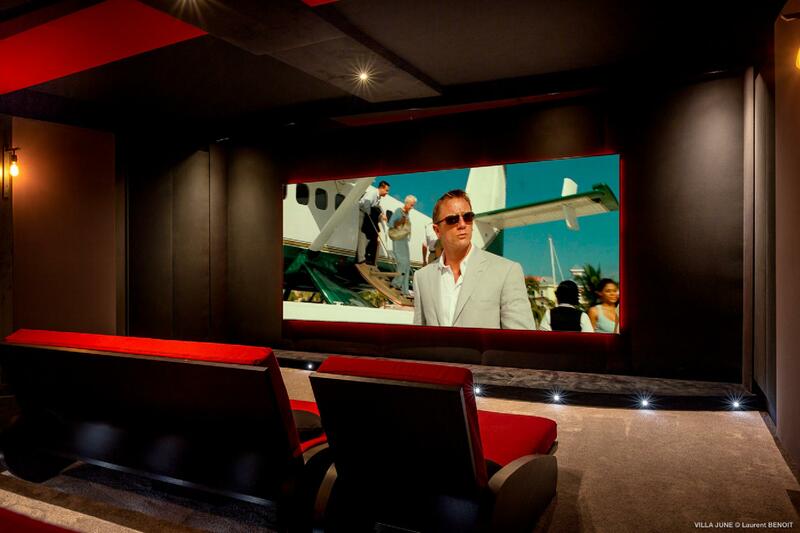 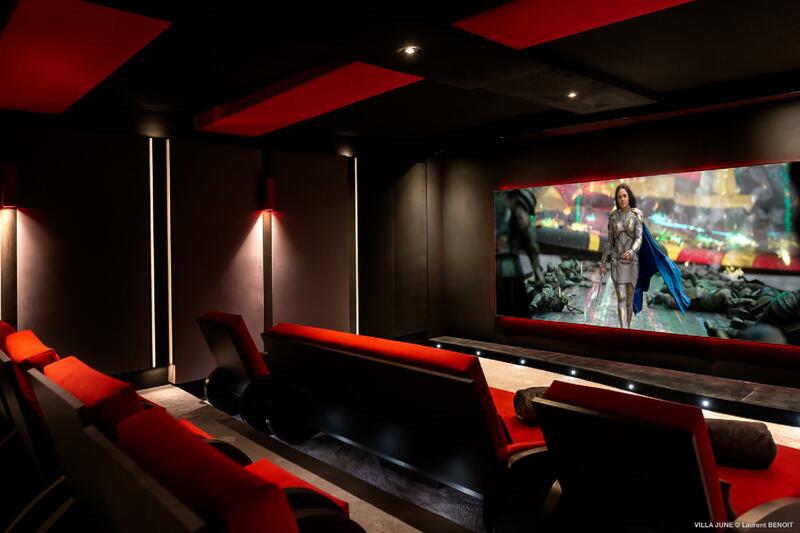 This level also includes the well-equipped fitness center and nine-seat cinema room. 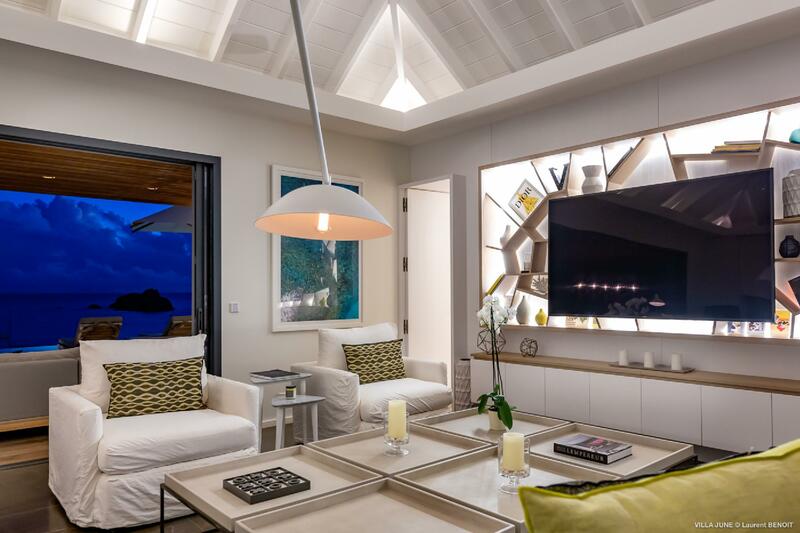 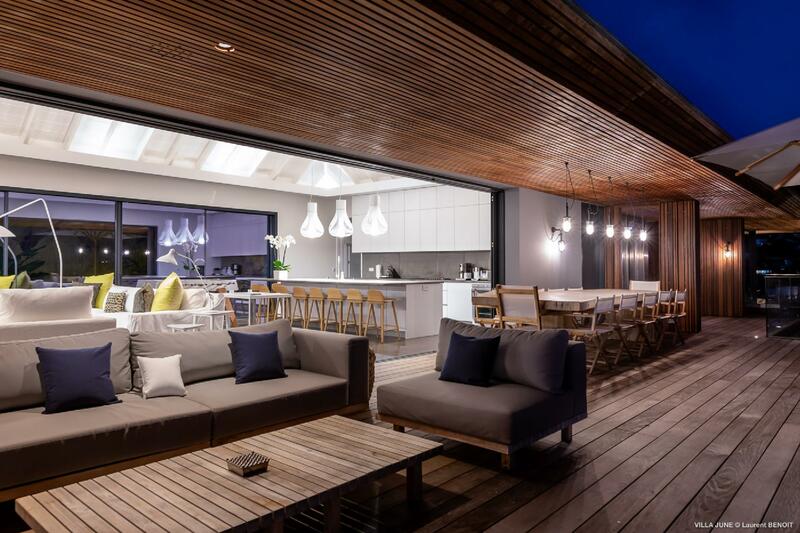 The top level includes a large open-plan living room with table football and a backgammon table, an open gourmet kitchen, the pool area, and three more bedrooms on opposite sides of the living room. 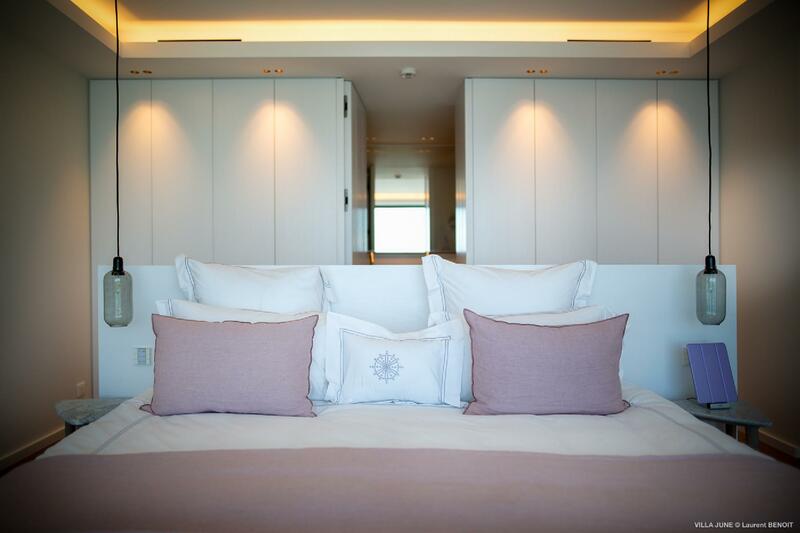 Two of these bedrooms can be connected if desired, but generally the bedrooms are very private. 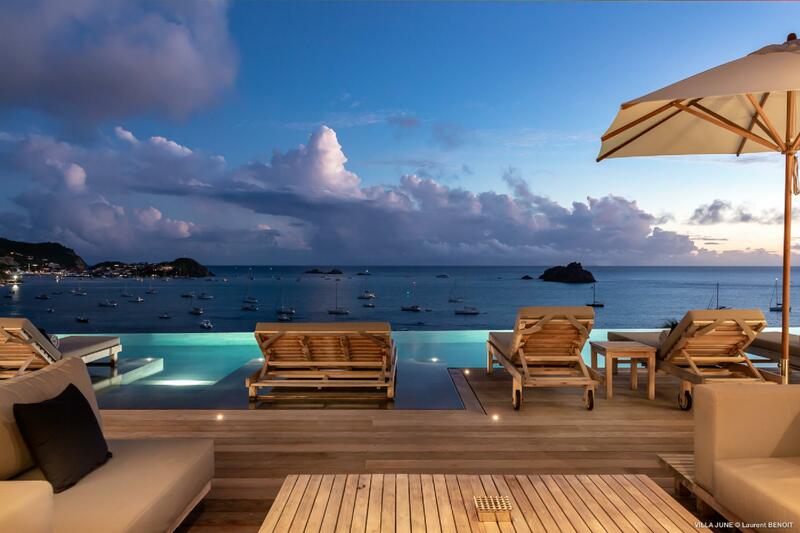 All of them are equal in standing and have wide sea views. 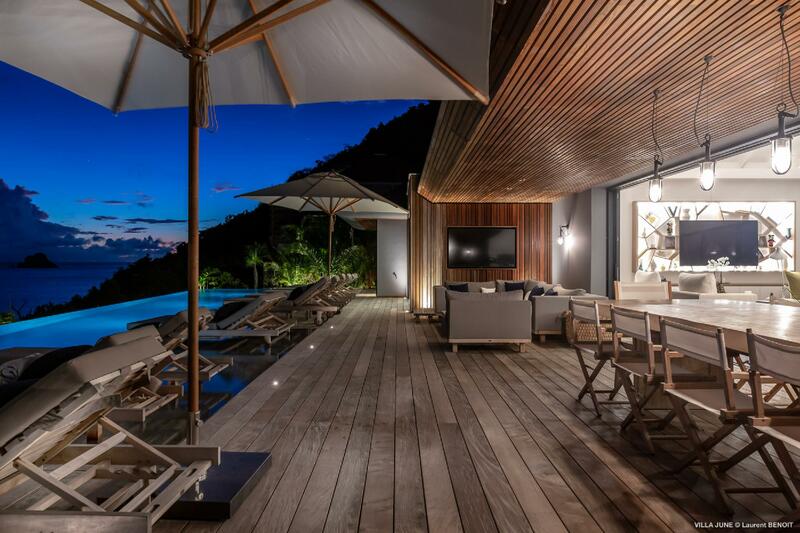 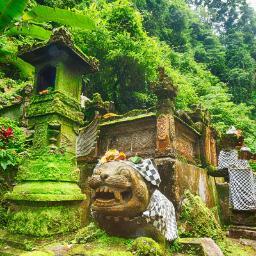 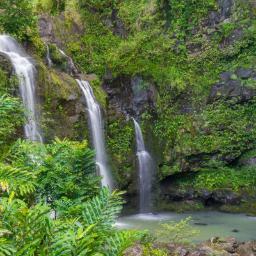 This makes Villa June a good choice for couples traveling together or families with adult children. 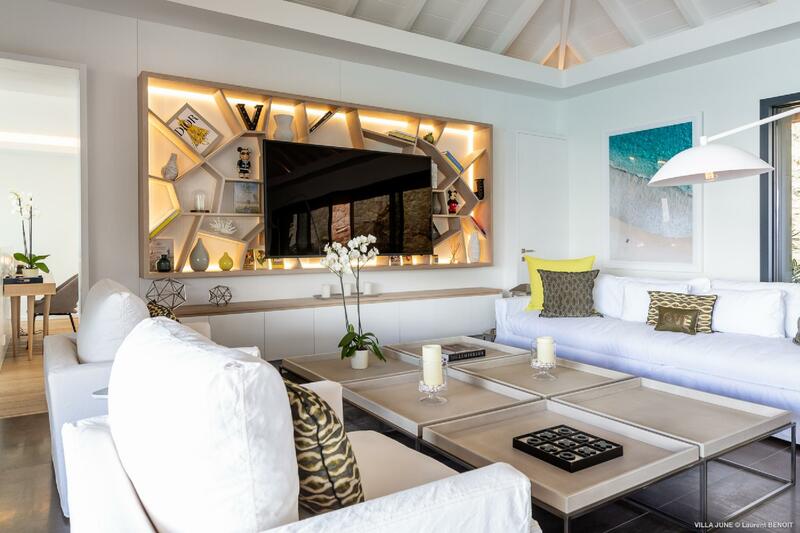 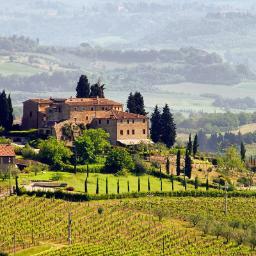 Sibarth Bespoke Villa Rentals is proud to offer the elegance and comfort of Villa June.